Noble Ale Works was already standing in the growth development department before heading to Philadelphia for the Craft Brewers Conference. 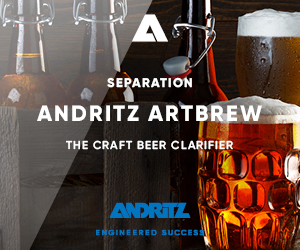 The nearly seven-year old brewery that has been in its own production facility since 2011 had just purchased a 10,000-square-foot adjacent building to triple the size of the brewery and taproom. 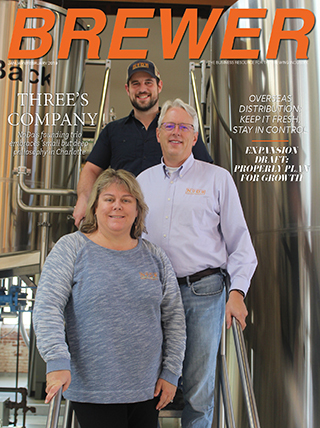 Noble Ale Works CEO Brian Rauso said that the new three-vessel, 30-barrel system is to go online by the end of the year and the new space would let the brewery grow from the 3,000 bbls it made in 2015 to possibly a max of 40,000 bbls of capacity. 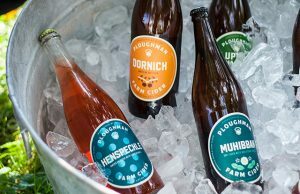 He noted that the Anaheim, California brewery wanted to grow “organically,” with thoughts of maybe hitting 7-10,000 bbls over the next year or two. 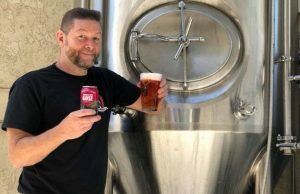 “We aren’t going to rush to get there,” he said, pointing out that the brewery is located in between the Honda Center, Angels Stadium and Disneyland and has the potential to reach nearly 10 million people locally. 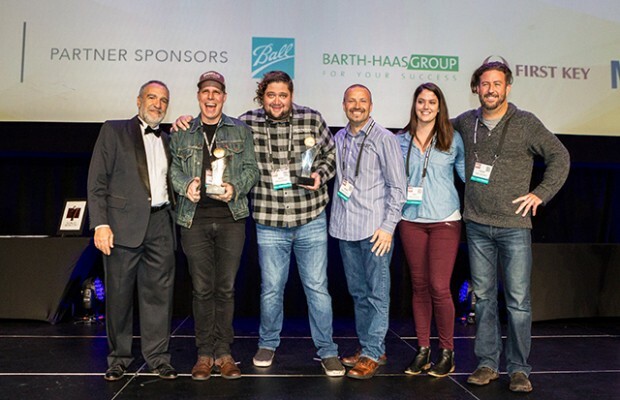 Then the World Beer Cup awards were announced. Noble Ale Works picked up three medals, including gold in the largest contested category — American-Style India Pale Ale — with its “I Love it!” IPA and won the Champion Small Brewery and Brewer award. “It was a dream come true,” said head brewer Evan Price, who joined the brewery in 2012. Price has been a catalyst for Noble Ale Works, said Rauso, changing it from a struggling Orange County brewery five years ago that had what Price called less than stellar beer served only in a few “gross” bars by self-distribution into a rising star on the West Coast with its honors — which include silver in the WBC Gose category (with “Gosebusters), and a bronze in the second-most contested Imperial IPA contest (with “Nobility”). “The quality of the beer, it was a laundry list of things that were wrong,” Price recalls, including cheap ingredients, poor employees and oxidized beers. Price righted the ship, expanded the lineup of beers, increased the quality and consistency and Rauso changed from being an investor/owner from the start to a full-time CEO two years ago. “You have to let them use their expertise and let them do their thing. I think it’s why it works so well,” Rauso said. “I look at one aspect of the company, Evan looks at the other. I can’t have the arrogance to think I know better on the beer side. I let people that know what they are doing to be able to do it. Fast forward to Philadelphia. Price entered four beers, the max allowed per brewery. The only one he had banked on to maybe place was the brewery’s “Nose Candy” Session IPA. When the Gose category came up and Original Ritterguts Gose of Borna, Germany took bronze, Price recalled his feelings. “I knew we weren’t going to get anything. We were fucked. It’s over,” he said. Then Noble Ale Works took silver. Happy with the haul, the room went silent when the gold medal winner of Category 88 was to be announced. “It’s a magic unicorn,” explained Rauso of the WBC’s American IPA top prize. When Noble Ale Works won, they exploded in joy again. Price grabbed his phone and started to record a video of the team walking to get the gold medal. His video can be seen on his Instagram page (@evanbrewsnoble). Back in California, with a treasure trove of medals and plaques, now Rauso has to plan for a new future for the brewery. 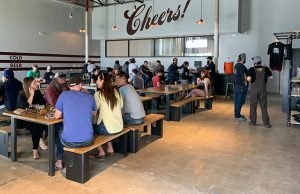 He noted that the wins will help during the buildout of the additional 10,000 square feet of space, which will include more tanks, a larger brewhouse and a larger taproom. It will also help with additional capital and gain access to additional markets, since everyone loves a winner. “A lot of those pieces, we can take advantage of,” he said. “We want to push it forward without being a “look at me” brewery. It gets us out there and gives us a lot of credibility. 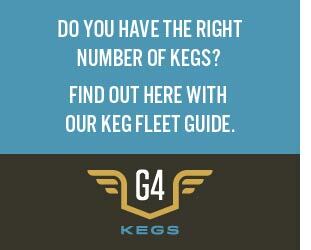 ← Previous Story What Does a Fourth Consecutive Growth for Hops in the U.S. Mean?